Sometime between my recent adventures (Egypt and surgery), I received this beautiful postcard from Maggi. Thank you, Maggi, I love the subtle colours and intricate details. 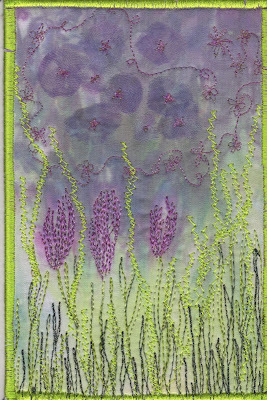 I want to learn how to do machine embroidery and would love to be able to make something as beautiful as this. Thank you Monica, I'm glad you liked it.